Why no one answer me?! 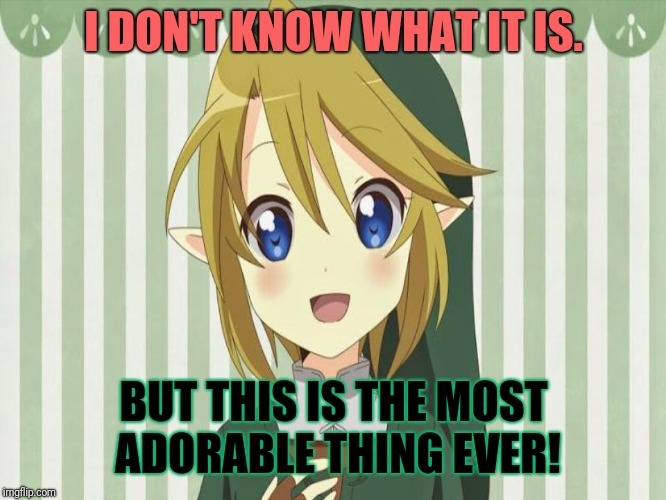 Agreed - it is adorable. Especially the eyes. I don't know what it is, but it looks like something from 'The Legend of Zelda'. Google it and check the Images... it might be the prince but I'm not sure. Many people confuse the prince with Zelda. I used to, although I really don't know anything about these characters. They do seem popular, though. That appears to be Link from Legend of Zelda. And he is adorable! I DON'T KNOW WHAT IT IS. BUT THIS IS THE MOST ADORABLE THING EVER!